We are far from the days when logging in was as easily implemented as a username, password, and cgi script in between your user’s anonymous and logged-in states. 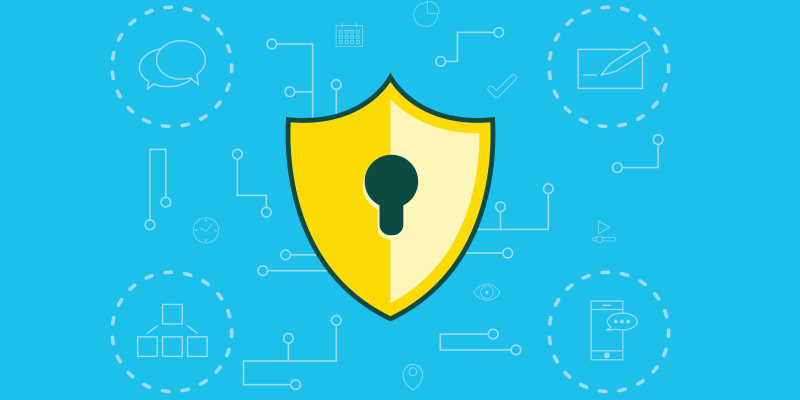 Today’s world is ruled by powerful web access management softwares that not only securely keep intruders from accessing your most secure pages but also allows for a user management system hooked up to your LDAP environment. Among them: HP’s IceWall SSO, IAM (Identity and Access Management), and CA Siteminder. Let’s focus on the latter. Indeed, we live in a world where hacking has become an extremely popular international criminalized sport and companies heavily invest in (re-)gaining their customers’ trust. It is more than likely that an Oracle WebCenter Sites (WCS) project implementation requires a Siteminder consideration as it acts as a filter to malicious activities, and provides multiple levels of access for every single user in a single realm. Thus, how can we leverage within WCS, the CA agent layer that would protect our pages? Now let’s create two page assets. 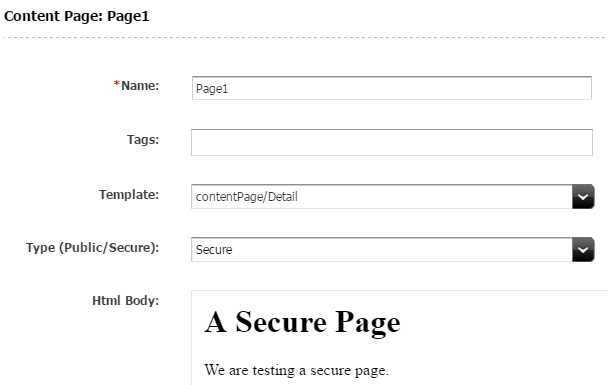 Page1 is tagged as “Secure”. 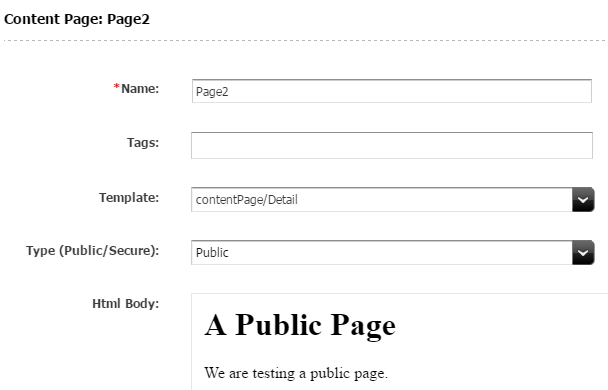 Page2 is tagged as “Public”. As you can see, we are pulling the pageType attribute value only if it reads “Secure”. We now have our two pages ready for testing. In Siteminder, configure the agent to intercept all /secure/* requests and redirect to the login.html containing your login form. What should happen next is that once a user attempts to access Page1, Siteminder will intercept the said call, check if the user is authorized to access the resource based on its policy settings. If the user is not authorized, the response redirects to the login page. The user enters his/her credentials and submits. Siteminder either grants access (authenticates) or denies the user to proceed. If authentication goes smoothly, the user can access Page1. As a developer, we can use Siteminder’s posted header values (via persistent and non-persistent sessions) to determine if a user is in authorized mode (and logged in) or not. If you are wondering about Page2... It is accessible whether in anonymous or authorized mode as Siteminder never intercepts its URL. The example above tracks vanity URLs. However, what about WCS’s internal URL patterns? Those would be handled as usual with proper rewrite rules in the httpd configuration file. As a precaution, please ensure that you block (to the outside world only) any servlet not being used to serve pages such as: CacheServer, CatalogManager, ContentServer, DebugServer, HelloCS, etc… You can find a complete, non-exhaustive list in Oracle’s WCS Support website (https://support.oracle.com). While you are at it, disable access to all URLs with pagename parameters specifying fatwire, FutureTense, OpenMarket, Support, or WebServices.